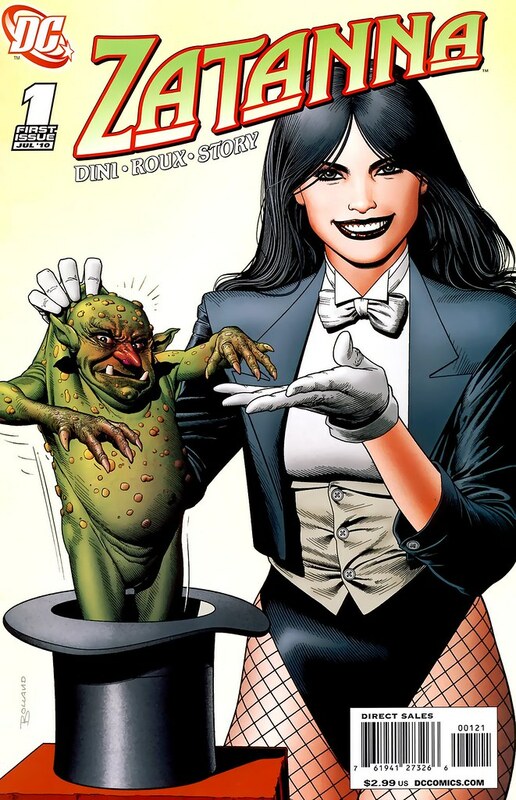 Zatanna #1 re-introduces the character with the old pulling a rabbit out of a hat trick. Instead of rabbit, it's the nightmare imp Fuseli. It's a great little gag by Bolland, who used to tease us with Judge Dredd covers in the 80s. The look of disgust on the demon's face is wicked. 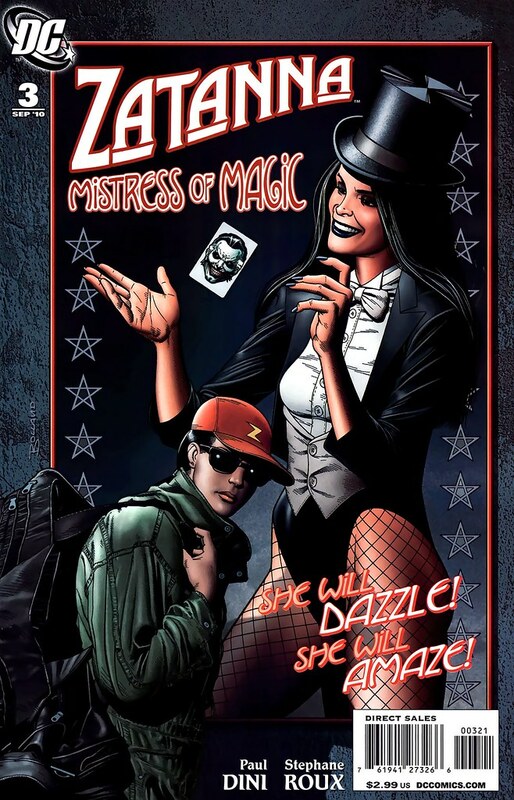 Notice one thing here about Zatanna: no hat! I think she looks better without one. Zatanna is tormented by twisted visions of Catwoman, Dr. Light, and Batman on issue #2 cover, but this is just Fuseli tormenting her dreams. Perhaps Ms. Zatara should get a prescription for Ambien. The tophat is back! But it is almost falling off to one side. Issue #3's cover is the least effective of this set. Zatanna is in disguise, perhaps running away from a fight? No, she's going in the backdoor of her stage show. This issue featured the ghostly return of her father, Zatara, which longtime DC readers will remember. The joker on the deck is Brother Night, the villain she's been fighting in the first story arc. Tophat is back, fully on, just hiding that luscious hair perm Zatanna conjured up. Issue #4 has Zatanna vs the Royal Flush Gang while she's in Las Vegas. Brian Bolland can take any goofy villain and wring something out of them, and the Flush gang is pretty laughable, travelling around on flying cards. The Queen of Hearts can't wait to knock that silly tophot off Zatanna's head. 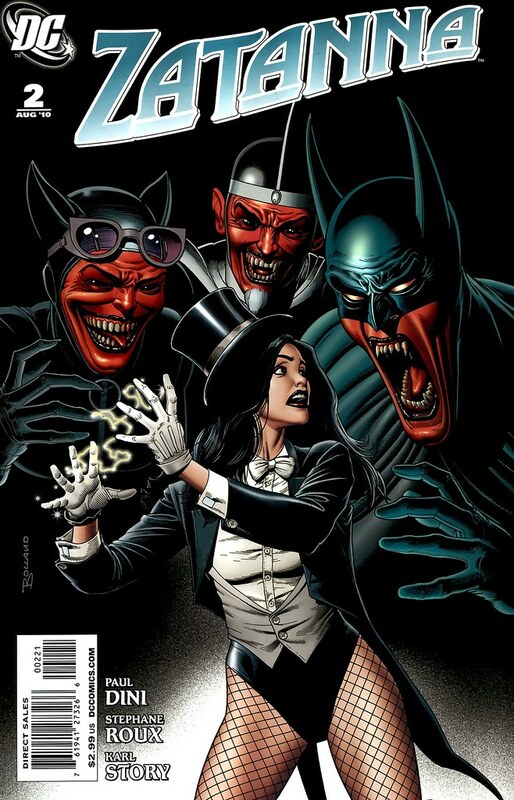 If only DC could get Bolland to draw an actual Zatanna story, that would truly be a feat of magic. Nuff Said!